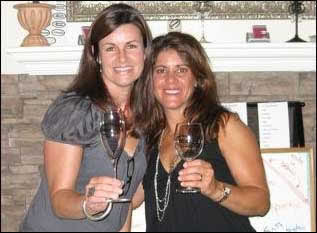 Drink Inks® evolved one evening when two girlfriends who love to entertain and drink wine had a terrific idea! Instead of wine charms that can be cumbersome and difficult to identify…WE wanted a product that was both FUN and EASY to use! Drink Inks® is a San Diego, CA based company with a lot of enthusiasm. We hope that people all over the world will enjoy our decals to enhance their social gatherings…big or small! Cheers! Your Drink …Name It… Claim It! Nancy and Connie are two San Diego Super Moms with a passion for life. Our families and friends are our biggest gift! Drink Inks® 2013 All Rights Reserved.